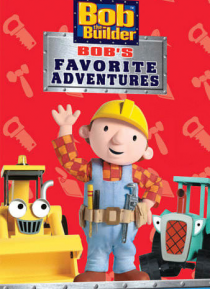 Ballroom Bob (never before seen episode) Bob doesn't have time to practice his new dance steps because he's so busy building a dance floor for the town dance. But at the dance that night, his salsa dance impresses everyone and so does his special surprise plannedespecially for the dance! Bob's Auntie When Bob mistakenly thinks his Aunt Dora is coming to visit, he and the crew frantically work to g… et the yard spick-and-span. But who is the elderly woman in Bob's kitchen if it's not his Aunt Dora? Fortunately, the mailman solves the mystery relatively quickly! Bob's Pizza While Bob and Scoop help Mr. Sabatini deliver pizzas, Spud helps Wendy by stopping traffic while she works on the road. Unfortunately, an overly eager Spud uses the STOP sign more than the GO sign, causing a traffic jam and lots of cold pizza. Forget-Me-Knot Bob When Bob's new personal organizer fails to work, he quickly becomes disorganized. He hopes tying knots in his handkerchief will remind him of the jobs he has to do, but the final knot remains a mystery until Wendy comes to his aid.